The ratings range for most hadicappers that you see will be OR45 to OR95. The range OR70-79 can be thought of as an Interchange Zone between moderate physical types up to OR69 & better handicappers at OR80 and above. The differences between lower OR70s runners and those really capable of OR76+ is visible in physical types. The effect of OR weighting is non-linear and their are a number of 'Class Level' breaks within the range. Within a Class Level a 1 point rating change will make a set amount of difference. A horse will have to be the appropriate physical type to compete at a higher level. If it isn't then it will need extra relief to jump a Class Break and compete well. The handicapper will give average seller winners around OR62 and weak ones in the high 50s. Win a seller by a clear margin and you will get high 60s and perhaps into the 70s. Win multiple sellers and you will get into the higher ranges. Win a claimer and you'll get high 60s and perhaps into the 70s. The previous point means that a lot of OR55-74 rated horses have never achieved the level of form they have been adjudged to have done and are over-rated whent hey enter nurseries. The majority of horses show a decline in OR rating to season end from the level they entered the handicap races on. The handicapper will reserve OR86+ (perhaps OR88+ given that 88 is one of those 'magic numbers' that reappears) for horses who have run in higher class races (Conditions, Listed & Group level). Win, or compete strongly in Novice events and you could get into this zone. Only four horses have been declared for handicaps so far that have been estimated as rated above OR88. Shampagne won off OR96 in a thin Southwell race with a 7lb apprentice aboard having won a maiden and conditions race in early season prior to unplaced runs in better races. Bahamian Babe won the first Listed race of the year and ran off OR94 yesterday. Missile Dodger ran placed off OR90 for a clear auction win in April and unplaced efforts in better races. He was down to OR87 when 2nd at Kempton last Wednesday and probably fits around that level. The other is Watergate who runs in the Newbury nursery. As with Lahaleeb it's baffling to look at his form because it just isn't worth OR90 and a lot has been added for the ease of his last win. He hasn't run in a high class race so OR90 is mild victimisation. However, he's trained by Mark Prescott who is in the middle of a period of racking up sequences of wins with various horses that got into the OR ratings with figures that were much too low so perhaps a bit of retaliation was the point with Watergate. The previous items in the list mean that from around OR74 down you have a lot a over-rated horses who are not competitive off their OR mark and will be starting the process of slipping down the handicap. The upper barrier around OR85-88 limits how high horses who have demonstrated real ability can be shunted up to and keeps them too close to those at OR74 and below. And so, topweights can compete somewhat better than the average overall because they are often a different type of horse and not properly separated from the lesser ones. At Chester the Nursery has 10 runners and the spread in ratings is from Aahaygirl on OR81 down to Lunar Romance who runs off OR58 although has a real rating of OR51 but has to be promoted up to the bottom weight of 7-12 (i.e. 'Out of the Handicap' by 7lbs = OH7 and the trainer has applied a 7lb apprentice to try to off-set that). The other horses rated above the moderate cut-off of OR70 are Red Baron Dancer (claimed out of a seller on debut and a clear winner of an auction race at this course since), Alphabeth (seller winner and won a nursery off OR61 and her OR is on the way back down) and Hawkspur (placed at 25/1 in amoderate Windsor maiden and failed next time). The only other winner is River Dee on OR67 for a clear seller win at Yarmouth (where else) and being bought in for 15,000gns which would hint to the handicapper this was better than the ordinary seller win. If you look at the Virtual Paddock for the race the three horses show a spread across the range of ORs. Aahaygirl is at least medium height and solidly built and the most powerful in the group. Although strong she isn't that neatly put together and not the most fluent of movers in the walk. After a solid debut she has been tried in higher class races and followed a 4th in the Listed Hilary Needler (note that the 4th is getting 81 to make the point about Listed race class) with an eased run at Royal Ascot. If she had run midfield at Ascot whe would have been at OR86 or higher so OR81 might be usable if she can shift herself athletically enough and has recovered from whatever got to her at Ascot. At the other end of the range we have Kingswinford who is on OR68 and down from OR71 as his decline starts. He's a colt but he's just plain smaller, in any dimension, than Aahaygirl and that relative lack of power is why he's on 68 to her 81. He was wound up for early season by David Evans, probably the master of that approach currently, and couldn't win even at his 'peak'. He doesn't have the scope to develop physically so his OR number and story is visible. In between we have Hawkspur who is small but much more strongly built than Kingswinford. On physical type his OR71 looks usable and he's the type who sits well in the OR72-5 range and has some scope to strengthen up. 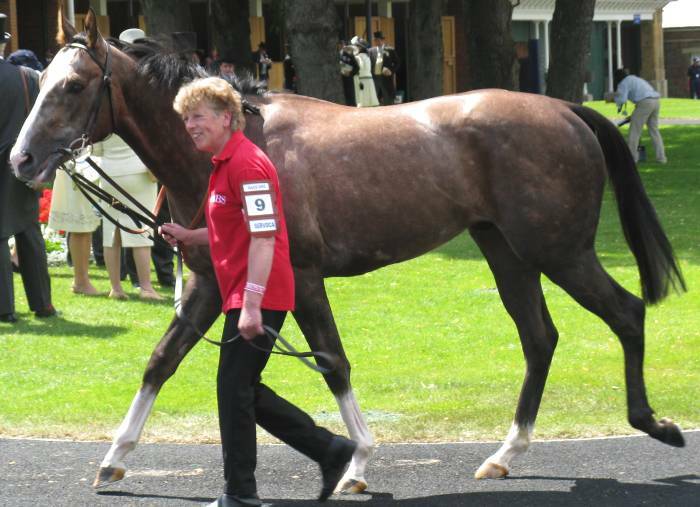 The picture shows him at Sandown when he looked in terrific condition and heart. Too well as it turned out because that exuberance led to him running too hard early and crossing in front of the field to the far rail and lead at Sandown. He steps up to 6f but ought to be held up and compete solidly off OR71. The two topweights, Aahaygirl & Red Baron Dancer (well drawn in 1 and proven on the course), should go well because apart from Hawkspur the others are probably at the high point in their OR careers unless they have any latent capacity to improve physically. The niggles would be that Aahaygirl hasn't really got involved in the finish of a race and failed last time and Red Baron Dancer is presumably at his upper limit of the OR range so wouldn;t have anything in hand. The one possible lurker is Impressible who is a half-sister to Group 1 sprinter Reverence and she goes off OR64. Her trainer doesn't have a strong record with 2yos and the wins come along unpredictably like Toledo Gold's 22/1 success last week. She has run in toughish northern maidens on her last two runs and there are hints her form might be better than OR64 (if you at the track does she look like that level or better?). For instance, the two horses behind her when out the back behind Shyrl at Catterick have won at Musselburgh and run a strong second at Carlisle since. Before going on to Newbury it is worth considering the issue of lurkers in the low weights. A better physical type knocking around off OR60-64, for example, should show up on physical inpection. Not all of them will be able to rate more highly because issues such as mental strength, breathing problems, and so forth which you will struggle to pick up in Paddock Review can limit them. However, on the reverse side if a lurker mugs a topweight then inspection is likely to show thye didn't fit on their OR mark. Let's take the example of Barry Hills' Servoca (Picture) who has been mugged on his last two runs when he has been topweight. 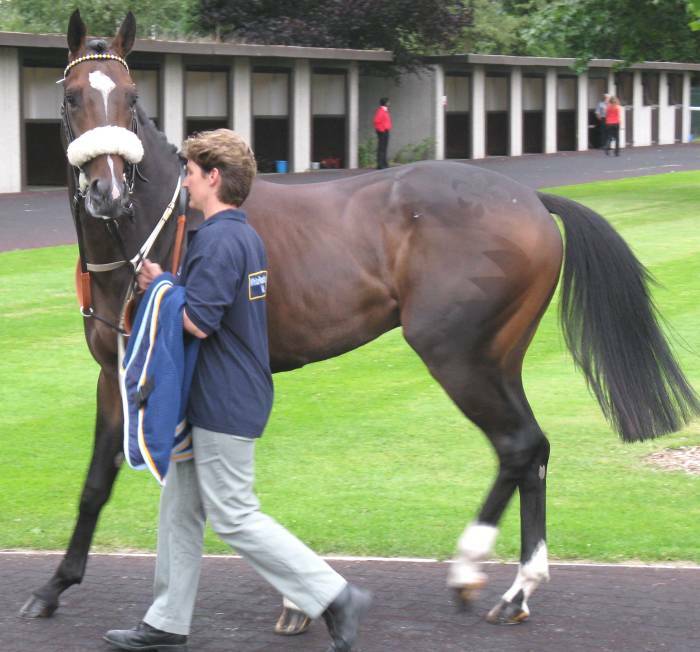 The picture shows him when he had a go in midfield at Royal Ascot and he's an Aahaygirl sort of size and type. Less forward in preparation than her and less mentally sharp but a believabke OR80s powerball type if a bit on the 'neat' (medium small) side. 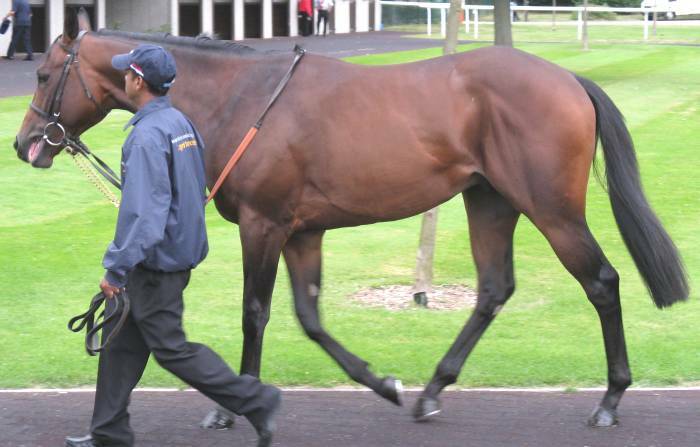 He has run off OR85 & OR84 on his last two runs and finished 3rd and 2nd as 6/4f and 9/4f. On the first of those runs he was held too far off a pacemaker (on OR62) who had an easy lead and who had a good 7lb apprentice riding. Next time he ran well but got outstayed by a runner who was running off OR61 and also had a 7lb apprentice aboard. Servoca then went to Newmarket and now off OR84 and ran well again. 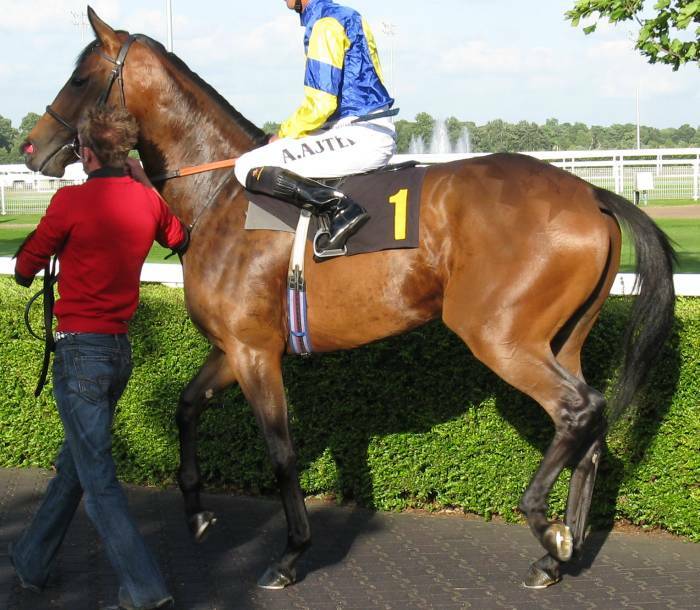 After the Kempton Nursery over 7f on 16th July the notes that came back to B2yoR from the paddock review guy noted both Another Luke (OR66, Picture) & Swingfire (OR63, Picture) should be competitive off their ORs. The first in the Ridgeway Silver way of being narrow but ok size and athletic and the second on the way it had bulked up from early season although being small. These aren't "this thing is 10lbs well in" type stuff but in a range OR55-69 where a lot of horses are over-rated ones that are on the right OR or value for a few pounds (points) more are relatively well in. Another Luke has looked too fiery and immature to confirm the view but Swingfire, armed with a 7lb apprentice and a good stalking ride, went on to plug on past Servoca at Newmarket. Again, the Hills' horse ran well and was clear of the others but beaten by a horse who was on a usable OR mark. At Newbury the nursery has a similar shape with two horses rated above the OR80 breakpoint with Watergate on a too high (for what he has achieved, he has not been paddock reviewed) OR90 and Lucky Redback on OR85 for two wins and a typical palcement on the OR scale for a horse who hasn't had a go in Conditions races or higher. The rest of the field range from OR71 down to OR64 with the bottom 4 upped to OR64 because that is the bottom possible weight given a horse at OR90 on 9 stones and 10lbs. So, we have two 80+ horses who have won and demonstrated some solid form taking on a lot of moderate horses who have managed a single win in a seller between them. There is at least one 'Class Break' between those two groups so the weight differential wont bring the higher weights fully back to the lower set so long as they are not over-rated themselves. It will need a lurker in the lower weights to challenge the top 2 horses if they are placed correctly on OR90 7 OR85. If you look at the VP for the race (the version in racecard order) this split shows up. Lucky Redback isn't entirely convincing as an OR85 type but the picture comes from his debut and he has presumably come on from then. With one exception, the bottom 8 pictures show small horses lacking bulk and development. They are in the OR71 range and lower for a reason. The filly Sparkling Crystal was beaten as 2/1 joint favourite second time out in a maiden and quite easy to see she wouldn't have been a good favourite in a group with any bigger horses [she got beaten by the much bigger Ahla Wasahl to make the point]. 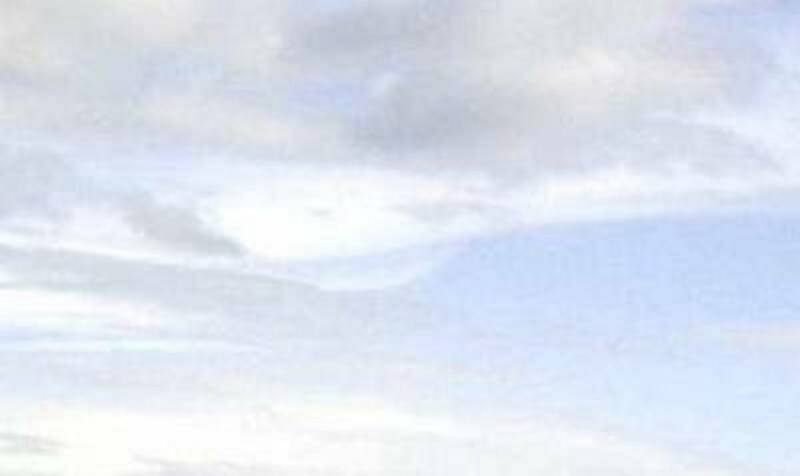 Which one of the horses in that lower batch looks a bit out of place? 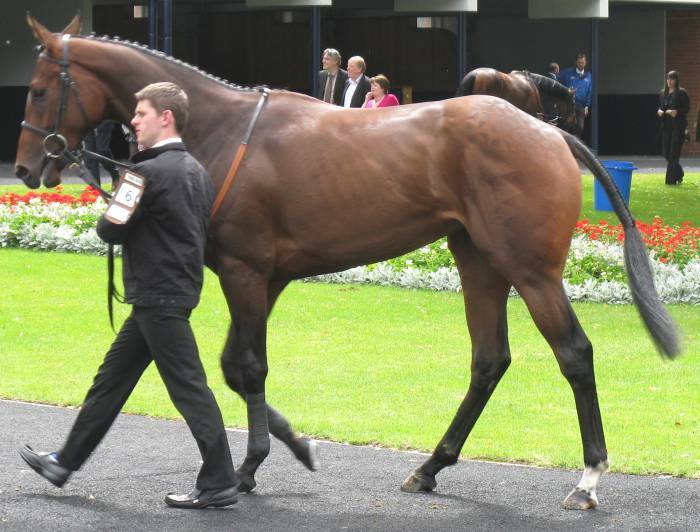 The answer you will probably have is the colt Fasalee who is in amongst mostly smaller fillies. He ought to be the lurker if there is one but his trainer doesn't seem to get the best out of these bigger, naroow bodided, types he buys. This is a recurrent theme. So recurrent that it crops up in the Newbury Maiden. Alan Jarvis runs Kings Ace who is another from his typical physical range and looked a solid type at Ascot when he made his debut last week. But, he ran moderately and you cannot be sure he will move forward to this run. He should compete well but the race has a solid field and doesn;t look like an 'empty' one begging for a 20/1 winner like some at the course. That view is dependent on a good set of debuts from Pearl Of Manacor, Fanditha & Naizak plus Hesketh finishing a race off properly after a bad fad, and easing, FTO. Harry Findlay has a debut runner with the expensive Pearl Of Manacor at Newbury at 2:10. Channon has produced the earlier strong debuts for the owner including Cerito's well supported 6 length win at Bath. 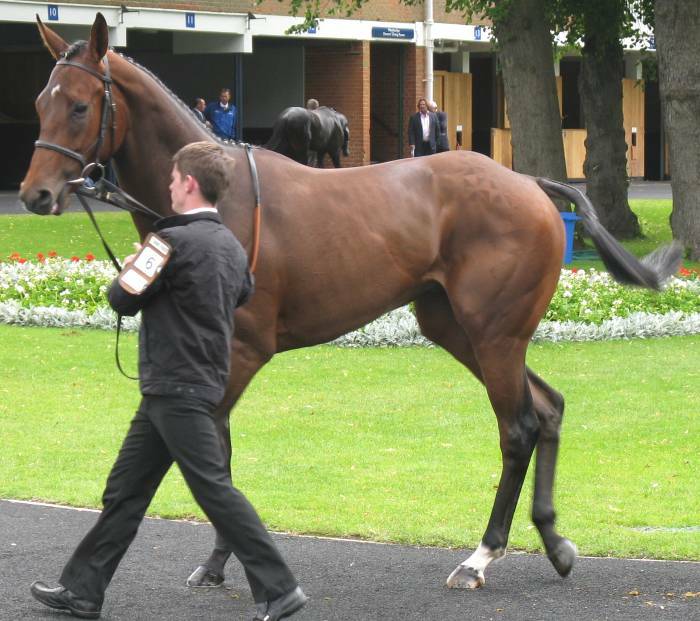 Unlike Tom Dascombe trainer Channon can produce any debut type from educational through to fully primed. His normal level peoduces horses ccompetent to show up but lacking the full edge to win FTO unless above average. He primes horses for certain owners more fully for debut and this was most obvious in the years 2002-4 when he trained a number for Sheikh Mohammed. With Ahmed Al Maktoum (yellow colours with black epaulets) it also shows up. It is most notable with this owner in that quite limited horses can place FTO in solid maidens looking like certain future winners on paper form. But they were fully ready for debut and do not improve and end up running up sets of places and failing to win. Canwinn & Mesyaal would be two good examples this season. Daanaat, Mohanad & Wohaida have also shown limited development fro debut runs for the same owner. Wohaida is the only one who is managed to win and the other pair have been beaten at shorter odds at some point. Wohaida's win was in a weak Brighton race where she beat Night Of Fortune who clearly failed to handle the track (at times he looked like each of his four legs was being worked independently). Tom Dascombe's batch of more expensively purchased breeze-up runners continues with Marine Boy in the same Newbury maiden. This one is owned by 'Betfair co-founder' Andrew Black who is supposed to be gearing up to supply major backing to the trainer in future.